For centuries, werewolf, Dominic Ridolfi, has battled the demons of the night, upholding the sacred pact to protect man from vampires. 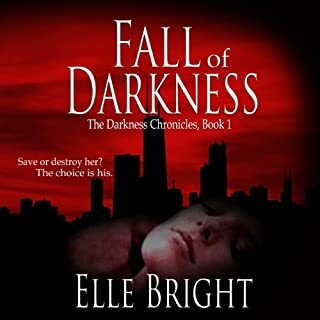 Yet when sent to destroy the long lost Cacciatori heiress, the vampire prophesied to free her kind from the curse of darkness, he finds himself reluctant to complete his task. The innocent beauty awakens his humanity and Dominic finds himself not in the role of assassin, but savior. Swept away in a whirlwind romance, Kate loses herself in Dominic's mysterious world of opulence and seduction. But Dominic has a secret. What did you love best about Fall of Darkness? I don't really need all fifteen words for this. Without a question, I LOVED Dominic! What was one of the most memorable moments of Fall of Darkness? I liked the fight scene in the werewolf club. It had great tension between the hero and his brother and gave great insight into the werewolf dynamics.